With the increase in mobile-internet penetration in the country, most users now demand having content available at their finger-tips. This has lead for a number of leading magazine brands to make immense efforts to make their magazine accessible to readers on the Internet. With the core focus on UX/UI being paramount for content on the websites, most magazines now are leveraging cutting-edge technologies and engaging their creative teams to offer a hassle-free experience for viewers on their websites. Foreseeing this phenomenon in 2009 itself helped Asian Photography to emerge as one of the first in the publishing industry to invest into developing its own e-version software. Running ahead of others by constantly updating the e-version software, the magazine currently offers the best user experience, where in readers can access the e-version on various digital platforms (desktop, tablets or smart devices), including its own app. This oldest and topnotch photography magazine is the flagship product of SAP Media Worldwide Ltd., a 35-year-old publishing house, which acknowledges that it has the distinct responsibility to ensure that accurate and timely content is delivered to the readers. This pioneer not only caters to readers and photo-enthusiasts (with photography as a serious hobby) but also has instated unique one-of-the-kind content properties like the Asian Photography Awards and the Most Influential People in Photography list. What makes this process unique is its unbiased winner selection process. It is by far the most coveted trophy in this industry and also aired on television. In fact, Asian Photography was also the first company to take the photographic industry on television as part of broadening the industry and the trade.
" This is the stage where world-renowned professional photographers present their images as art on different genres under one banner and a common theme"
Bhavya Desai, Editor and Group Head, Asian Photography and SAP MEDIA WORLDIWDE LTD feels, "that innovation is at the core of the thought process of the company and it is this endeavor that allows Asian Photography to continuously push the boundaries.” For instance the company has recently launched a new project- India’s first business and photography coffee table book scheduled to release in 2019. The one-of-its-kind coffee table book is envisioned as a single point source of all information about the industry. The company has already published several books in other industry segments that it operates in which have been appreciated immensely. But Desai feels that the need of the hour for the photography industry is to increase its penetration and also promote it as an artform. And in order to achieve this objective Asian Photography organizes a non-profit art exhibition and contest called 'Artistique'. "This is the stage where world-renowned professional photographers present their images as art on different genres under one banner and a common theme. Today, Artistique is in its fifth edition and that is what has made the magazine unique amongst others,” he adds. In order to increase its digital reach Asian Photography has recently forayed into digital content on its YouTube channel apart from focusing on offering news, views and reviews. The magazine ideally includes getting information of the best in the business and reviewing their creation. 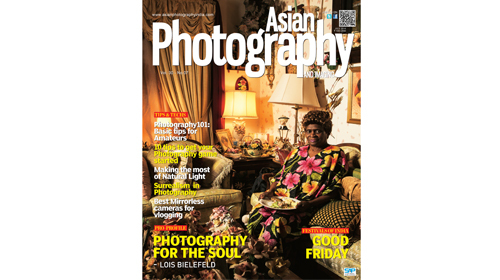 Currently, Asian Photography has two million followers on social media which helps it to reach even more readers. Along with the print edition, Asian Photography’s online platform works independently in terms of content in order to deliver the same. Perceiving online platform as an opportunity, rather than a challenge, Asian Photography has always been successful in creating a circle of influence to engage the viewers with the good content. "We try to create an environment that is important to set the same thought process and energy which is inculcated in the company and that in turn flows in the team,” explains Bhavya.